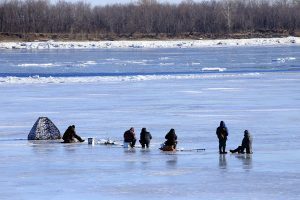 Saginaw Bay Those that want to go out on the ICE are doing so at their own risk! Anglers are warned to stay away from the pressure cracks and do not try to cross them. There is a bad pressure crack about 1 to 1 ½ miles offshore that runs from White’s Beach all the way down to Newberg Road south of Pinconning. The crack was about 20 feet wide. There is another crack that crossed the bay just north of the Black Hole and anglers should avoid that area. Extreme caution needs to be used. You might not see a pressure crack until you are on top of it and by then it is too late. On the east side, there was bad ice from Rose Island Road north to Geiger Road due to currents in the area. Anglers have fallen through in this area. 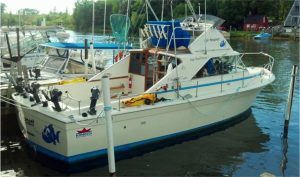 Bad ice was reported in Wildfowl Bay off Beadle Bay Marina. The ice blew out at the Caseville Pier. 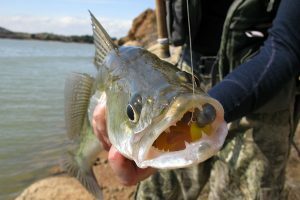 Fishing was spotty just about everywhere and perch fishing near shore normally starts to wind down this time of year. Saginaw River ice conditions were extremely variable. 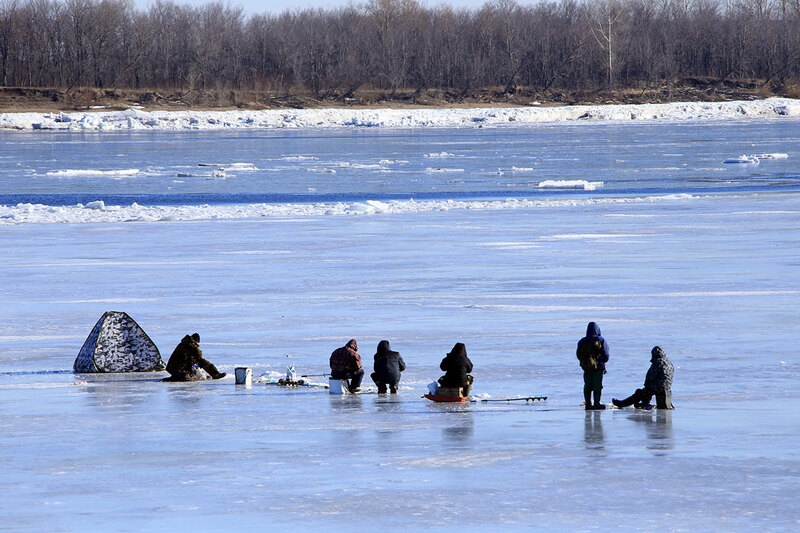 One angler went through the ice down near Crow Island. Ice thickness was as thin as 1 or 2 inches in some spots. Fishing was spotty at best. Tittabawassee River was un-fishable due to shore ice and floating ice. 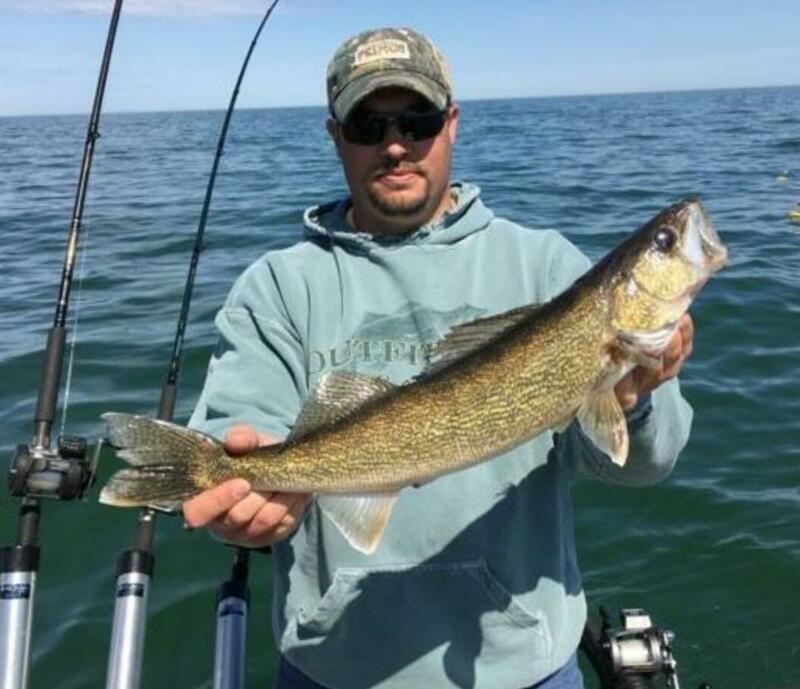 Tawas Area some lake trout and walleye were caught around the artificial reef in northern Tawas Bay. 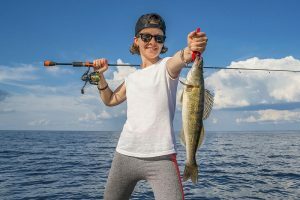 Some perch were caught in 15 to 20 feet in the same area. This was the only area where we didn’t get reports of bad pressure cracks, but that doesn’t mean there aren’t any out there. Caution needs to be used. 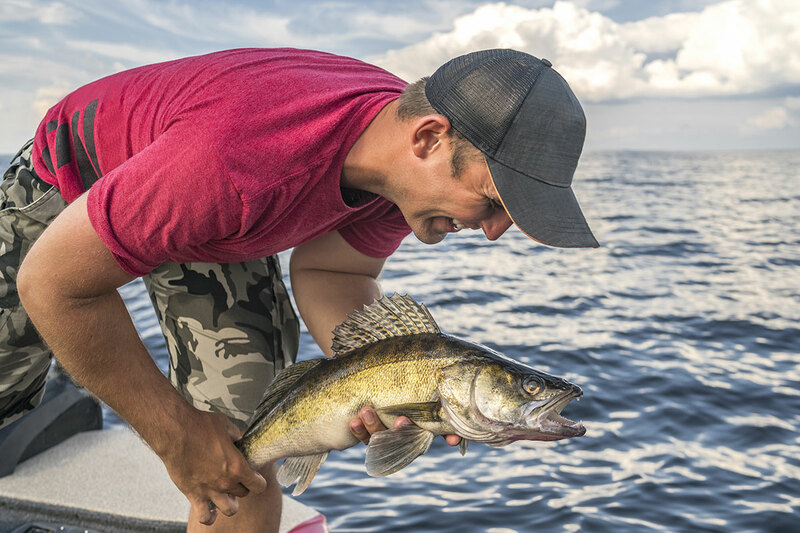 Walleye are a popular target of ice anglers with many jigging for this aggressive species. But did you know weather can play an important role in your opportunity to catch them? While you might not be able to notice the wind whipping outside your shanty, walleye under the ice notice it. When the wind shifts it impacts things under the water, including the current and silt. This might mean you’ll need to change locations on the ice to find what you’re looking for. Fish are very sensitive to air pressure and when it’s consistent you’ll find the fish can be very active. But if the pressure drops you’ll also see a decline in bites. Along with pressure you’ll see changes in activity thanks to temperature. Many anglers gravitate to their favorite spots on warmer days, only to find not much activity under the ice. Temperature drops affect the air pressure which turns many species off. 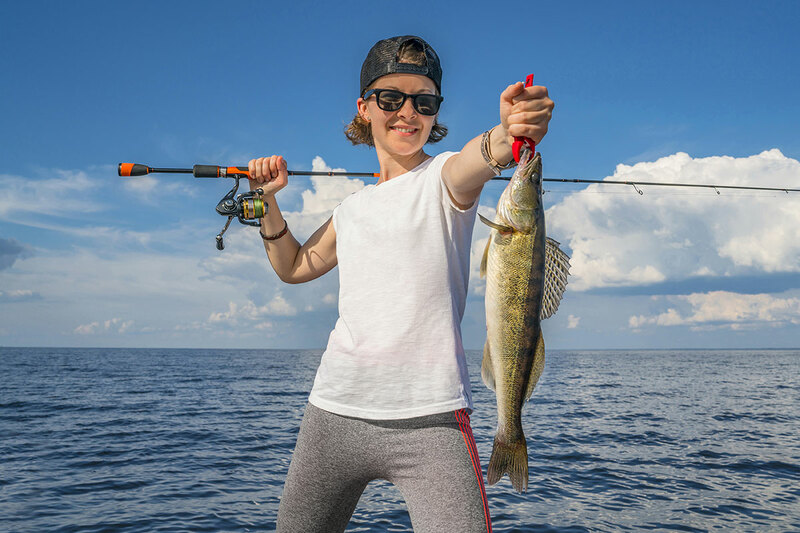 Check out our Michigan Fish and How to Catch Them website for even more information on fishing for walleye.